Welcome. Out of all the windows in Rochester, you chose mine to climb through, and that is an honor. Thank you. My wife heard your ruckus in the living room, the other afternoon, during her day off. I’m sure you weren’t expecting us home. Anyway, the next day, I came across your marking on the window screen which revealed your entry and exit point. I guess you could say the gig is up. Nevertheless, since we now share living space there are some ground rules to cover. 1. My wife is not a fan of mysterious creatures. That doesn’t mean she doesn’t like you; it just means she doesn’t know you, and that you two should avoid each other for the time being. 2. I, on the other hand, am a HUGE fan of mysterious creatures, proven—of course—by the sweet hum of The X-Files theme song, sweeping out of my bedroom nightly, and—no doubt—into your ears as you watched us from outside, below our bedroom window. 3. Label your food. Don’t eat mine, and I won’t eat yours. 4. If you want to borrow any of my books, please ask. It is polite. Also, I’m weird about the aesthetics and order of my bookcase, so don’t just return titles willie-nilly. 5. The bed is off limits. Though if you prove yourself, we can revisit this rule in time. I’m curious, monster, where do you come from? Are you a cousin of El Chupacabra? Friends with the Jersey Devil? 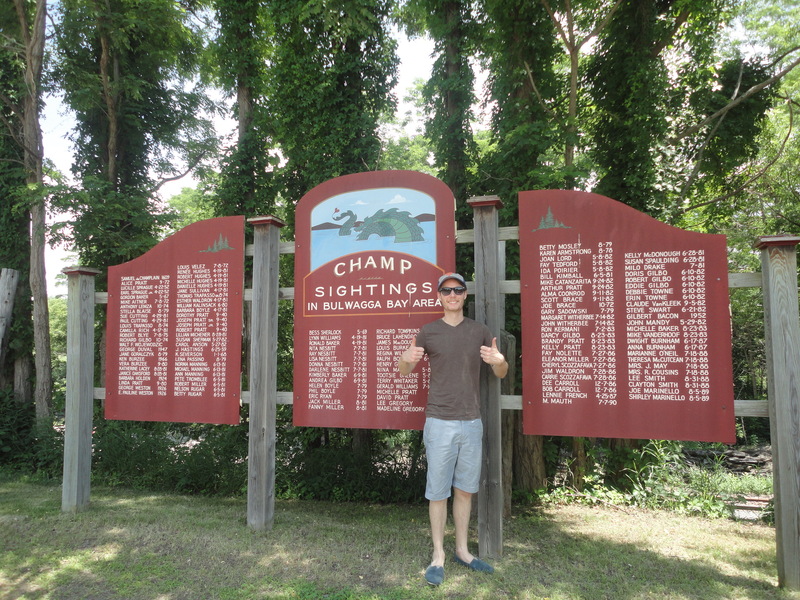 Are you on your way to visit Champ, the lake monster of Lake Champlain? And I wonder what you normally eat. I found no food missing from the kitchen, which adds to the mystery. Can I get you anything from Wegmans? 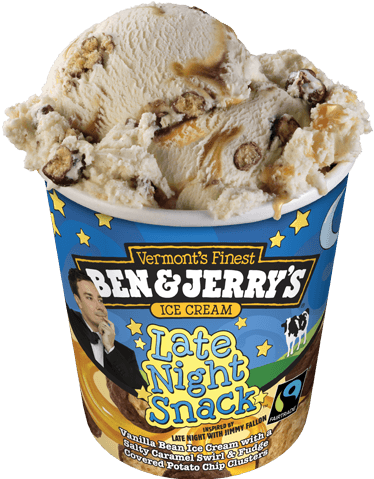 No doubt, we are almost out of Ben & Jerry’s; I can pick up your favorite ice-cream pint. Let me guess, Late Night Snack? Monster, you are not the first creature to welcome him or herself into our private dwelling. Last year, after just moving to Rochester, my wife and I were greeted in the middle of the night by a bat in our bedroom. Unfortunately, that bat is now dead. I’d hate for you to meet the same fate. So if you want to stay at my bungalow, I suggest you get your shots. Starting with rabies. Let’s get rabies out of the way. By any chance, if you are an evil bat, related to the other evil bat, traveling long distance to revenge the first evil bat’s death, then let me assure you: it was not my choice or idea to kill your brother/sister. It was my wife’s. When we’re sleeping tonight, go for her! But I’m not going to assume you are evil. No. That would be prejudiced. 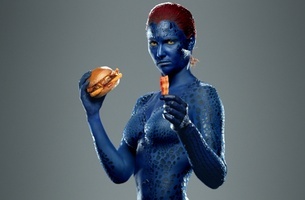 And if there’s anything X-Men have taught me, over the years, it’s that you shouldn’t judge a non-human creature by the texture of its skin. I assume you are a polite, educated, and well-meaning creature. Also, how good was Days of Future Past? Right? I noticed, after your last visit, the coffee area in our little kitchen was riffled. You must be a fan of coffee! Are you interested in Fair Trade and organic practices? Does corporate exploitation of family farmers really grind your gears? Also, are you on Facebook? Well, that’s all for now. This letter is intended for you, monster. Let’s be friends, okay? Oh, speaking of friends. Please don’t invite any of your friends over. Ever. Unless it is Champ. I would love to meet Champ. He sounds awesome. And if by any chance you turn out to be one of those crazy squirrels outside my building, swarming the dumpster, frightening me every time I throw away trash, then stay the hell out of my apartment. You are not welcome here. 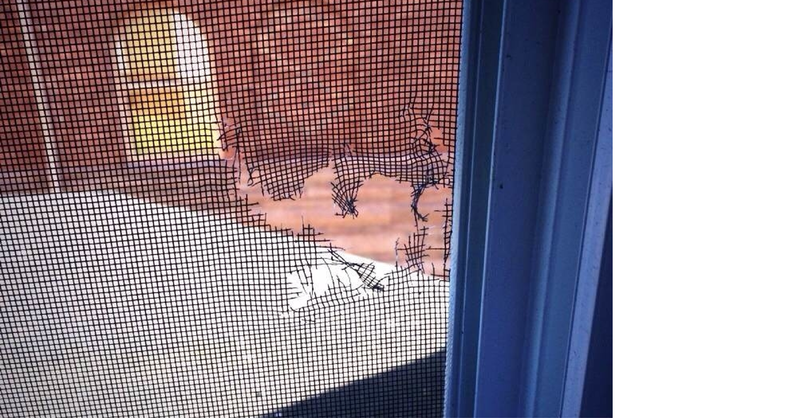 Have you ever had a monster claw through your window screen and visit your apartment? Help? Oh. My. Gosh. This was so funny. I’m in a coffee shop and I laughed aloud causing people to stare. Nope… though the neighbors have also had squirrel problems. Crazy, crazy squirrels. I’m still pulling for something paranormal, however.